That’s quite a compliment from a man of Ryan’s vast experience and it is beginning to look as though his instincts were right. The Arch colt–Instilled Regard–now boasts a record of 5-2-2-1 and this progressive performer was impressive in winning the GIII Lecomte S.
The Lecomte may only be a Grade III, but its past winners include several which have gone on to better things, including Oxbow (2013 GI Preakness S.), Ron The Greek (three Grade I successes, including the Santa Anita H. and Jockey Club Gold Cup) and Hard Spun (2007 GI King’s Bishop S., after finishing second in the GI Kentucky Derby and third in the Preakness). The surprising aspect of Instilled Regard’s story is that this very well-connected colt had RNA’d at only $110,000 just six months before he sold for roughly ten times that amount. 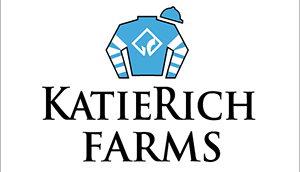 His pedigree is solid and carries the Claiborne hallmark, even though he was bred by KatieRich Farms. His sire Arch spent his stallion career at Claiborne, as did Seeking The Gold, Nijinsky and Riva Ridge, the stallions responsible for Instilled Regard’s second, third and fourth dams, all of whom were bred by Ogden Phipps. Instilled Regard is a member of the penultimate crop by Arch, who died in January 2016 at the age of 21. Arch’s overall record as a stallion can be gauged from the way his fee fell and then recovered very well. Having been forced into retirement by problems with an ankle, the son of Kris S. started his career at a fee of $20,000 in 1999. By his fourth and fifth seasons his fee was down to $15,000 but by 2004 and 2005 he was available for $5,000 and $7,500, respectively. Anyone could have been forgiven for thinking that Arch’s days at Claiborne were numbered but he pulled off a remarkable recovery, to the extent that his fee began to rally and his last three years were spent at a fee of $40,000. It turned out that a bit of patience was required with some of Arch’s best winners (which wasn’t too surprising in view of Arch’s own record, which included just one start as a 2-year-old). For example, his first crop contained Les Arcs, a gelding who won the G1 Golden Jubilee and G1 July Cup as a six-year-old in 2006. His second crop was led by Prince Arch, winner of the GI Gulfstream Park Breeders’ Cup H. as a four-year-old in 2005 and more recently we have seen Grade I victories for the six-year-olds Hymn Book (Donn H. in 2012) and Grand Arch (Shadwell Turf Mile in 2015). However, his fourth crop contained a pair of fillies who shone as 3-year-olds, with Pine Island taking the GI Alabama S. and Arravale the GI Del Mar Oaks and the GI E.P. Taylor S. Pine Island and Arravale both scored over a mile and a quarter, as had Arch when he gained his biggest success, in the GI Super Derby. With Roberto and Danzig as his grandsires, Arch was very capable of siring smart turf performers, but Instilled Regard is the latest in a lengthy line of good dirt runners, headed by Blame, 2010’s champion older male whose victories included that stunning defeat of Zenyatta in the GI Breeders’ Cup Classic. 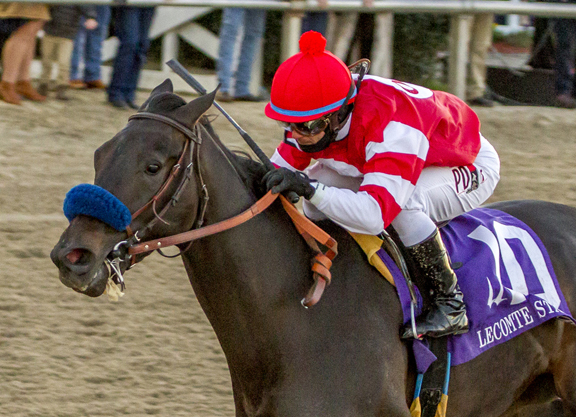 The list also features such as It Tiz Well (last year’s GI Cotillion S.) and Archarcharch (GI Arkansas Derby). His total of Graded/Group winners now stands at 36, which is pretty good going considering that most of his early crops numbered fewer than 50 named foals. It is worth adding that Blame and Hymn Book are members of his 7,500-dollar 2006 crop. Naturally for a stallion based at Claiborne, Arch was mated to a lot of mares sired by Mr Prospector or his sons, with daughters of Seeking The Gold being by far the most popular option. There are now 80 foals of racing age bred this way and among them are Blame and his fellow Grade I winner Pine Island, as well as the GIII Iowa Derby winner Bent On Bourbon and the Listed winner Albasharah. These four stakes winners represent only an unexceptional 5% of the sample, but now we have Instilled Regard with a second dam by Seeking The Gold. Needless to say, this second dam by Seeking The Gold isn’t any old daughter of the 1988 Dwyer S. and Super Derby winner. She is Heavenly Prize, an eight-times Grade I winner at the ages of two, three and four who was 1994’s champion 3-year-old filly. This is truly a blue-blooded pedigree. Instilled Regard’s fifth dam is Lady Pitt, America’s champion 3-year-old filly of 1966. Lady Pitt had the type of record it’s hard to imagine nowadays, as she notched up 14 starts as a juvenile and another 16 at three, when her wins included the Mother Goose S. and the CCA Oaks. She raced 47 times in all. Although Lady Pitt’s sons included The Liberal Member, winner of the GI Brooklyn H., it was largely her daughters who ensured that her name lives on. Three of them produced graded stakes winners, including her Buckpasser fillies Bank Of England (dam of the Reviewer colt Comptroller) and Queen Pot (dam of the smart European miler King of Clubs). However, it was Lady Pitt’s Riva Ridge filly Blitey–the fourth dam of Instilled Regard–who made the biggest impact. Herself a winner of the GII Maskette H. and GII Test S., Blitey produced Grade I winners to three different stallions–Nijinsky, Easy Goer and Mr Prospector. Her Nijinsky colt Dancing Spree was fast enough to win the GI Carter H. and GI Breeders’ Cup Sprint, in addition to the GI Suburban H. over a mile and a quarter, while his sister Dancing All Night took the GII Long Island H. over a mile and a half. Instilled Regard’s third dam, Oh What A Dance, was an unraced sister to Dancing Spree and Dancing All Night. Oh What a Dance also enjoyed Grade I success as a broodmare with Heavenly Prize’s sister Oh What A Windfall, who took the Matron S. Another sister to Heavenly Prize, the Grade I-placed Dancinginmydreams, produced Dancing Forever, a Rahy colt who landed the Grade I Woodford Reserve Manhattan H.
Heavenly Prize also did sterling work, notably with two sons sired by Storm Cat. One of them, Good Reward, won the Grade I Hollywood Derby and GI Manhattan H., while the other, Pure Prize, landed the GII Kentucky Cup Classic H. Without a Grade I win to his name, Pure Prize started out at a fee of $7,500 but succeeded in siring Grade I winners in both North and South America. Instilled Regard’s dam Enhancing is a daughter of Forestry, which makes her a three-parts-sister to Pure Prize and Good Reward. Another daughter of Forestry has already produced a Kentucky Derby winner–Nyquist–so there is reason for hoping that Instilled Regard, with plenty of stamina in his pedigree, has more to offer on the road to Churchill Downs.